[SatNews] The Exelis-built (NYSE: XLS) Advanced Himawari Imager (AHI) will launch October 7th on board a Mitsubishi Electric Corporation weather satellite, Himawari-8, improving weather forecasts and early warnings for severe weather in Eastern Asia and Western Pacific—the second imager was delivered in August to Japan. Photo of the Exelis Advanced Himawari Imager. Mitsubishi Electric Corporation integrated the Exelis-built AHI into the satellite for the Japan Meteorological Agency to provide round-the-clock regional weather forecast and severe weather alerts. 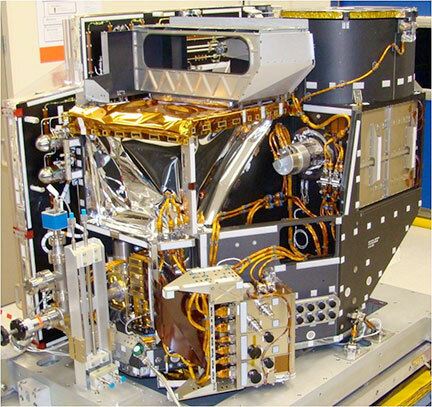 The Himawari imagers are based on the Exelis Advanced Baseline Imager (ABI) designed and built for the National Oceanic and Atmospheric Administration (NOAA)’s nexgen Geostationary Operational Environmental Satellite-R (GOES-R) constellation. The Himawari-8 will be the first mission launched hosting an Exelis ABI-class instrument. As part of the Exelis intelligence, surveillance, reconnaissance and analytics strategic growth platform, these advanced instruments will provide better insight into the makeup of storms, higher-resolution images and will observe full-disk images of earth three times faster than today's capability, which is critical in helping protect lives and property. 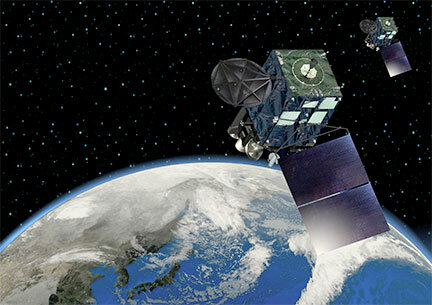 Artistic rendition of Mitsubishi's Himawari-8 satellite. The Himawari-8 and -9 (slated to launch in 2016) geostationary satellites replace current Multifunctional Transport Satellite (MTSAT) series. The Himawari (Japanese for “sunflower”) satellites are part of the World Weather Watch program within the World Meteorological Organization. Exelis is in the process of building and delivering seven advanced imagers: two for Japan; one for South Korea; and four for NASA and NOAA. 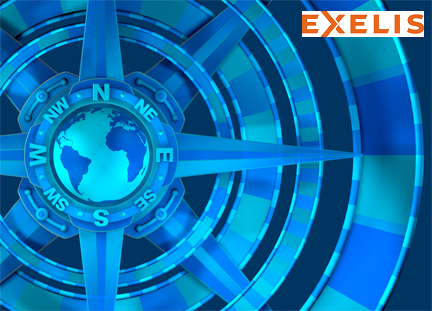 Exelis has provided every geostationary imager and sounder to the U.S. government since 1994 and has also built the current geostationary imagers flown by Japan and South Korea.